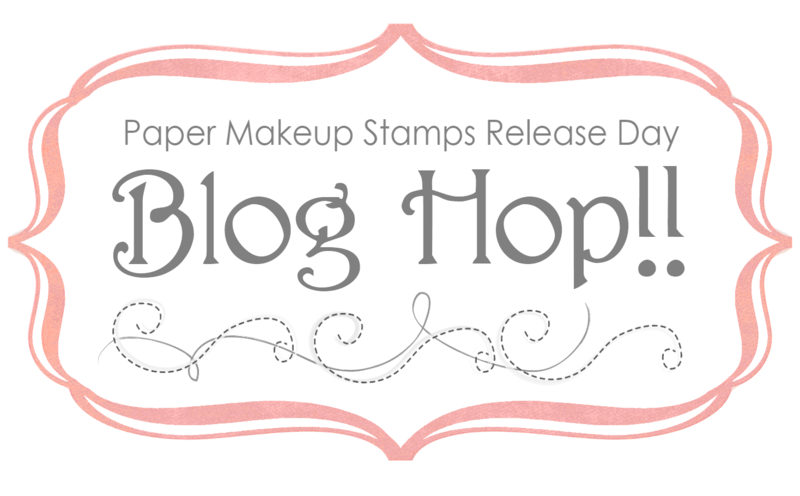 Paper Makeup Stamps: Let's Hop! It's that time of the month again! PMS time! No not THAT kind of PMS, the only kind of PMS you can look forward to! Paper Makeup Stamps! It's the 7th, which means we have a new release that will be live on the website at 9pm EST. Awww man! Does that mean you have to wait allllll day! Well yes, sorry it does. 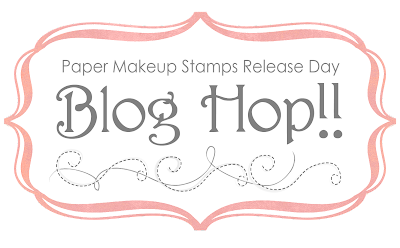 BUT until then you can enjoy a FANTABULOUS blog hop put on by all the Paper Makeup Artists! And remember, as you hop you need to collect all those letters each artist gives you. Those letters when put together give you a voucher code and that voucher code is good for 15% off the new release! You dont want to miss out! Plus, to make the day even sweeter... we're going to give away a gift certificate for $25 worth of rubber to 1 lucky blog hopper! You just have to do the hop and leave comments along the way as the comment winner will be drawn from ALL the blog hop comments. And we'll give you thru this Sunday to leave those comments, just in case you don't read this post on the 7th! And then tonight... at 9pm EST, not only do the stamps go live on the website, but we CELEBRATE! Join us in our Forum for some fun, chatter, games, prizes and put your word in for what kind of stamps you'd like to see next! Let's start the SHOW by hopping to Katie's Blog! I'm just starting the hop. So excited. Thanks! Starting...I am sure this will be amazing - as usual! hop hop so much fun to hop with pms.